For all the railway passengers out there, there is great piece of news for you all. Next time you order food while you travel, do not forget to install the ‘Menu on Rail’ app so that no body rips you off. You can cross check all the prices of the menu on this app and order your food correspondingly. The app was launched today by the Railway Minister Piyush Goyal and this app is made with the sole purpose of spreading awareness among the passengers about the right prices of the food. This mobile app will show the menu to the passengers travelling from trains like Humsafar Trains, Rajdhani Trains, Shatabdi Trains, Duronto Trains, Gatiman Express and Tejas Express. The app will display prices of food items like rice, tea, coffee, drinking water, standard veg thali, standard non-veg thali, for the trains as well as stations. 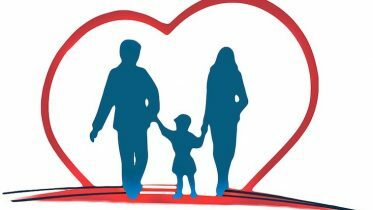 The ala-carte category will include around 96 dishes and the subcategories are breakfast, light meals, lunch, combo meals, non-veg, diabetic foods, Jain foods etc. For the mails, as well express trains the menu has been divided into 4 sub categories like breakfast, beverages, meals and Ala- carte. In case of Shatabdi trains, the app will separately book food items prior to the journey for EC and CC class passengers. The same will apply to 1A, 2A and 3A passengers of Duronto and Rajdhani passengers. All the food prices are inclusive of taxes and hence there would be no confusion over the prices. 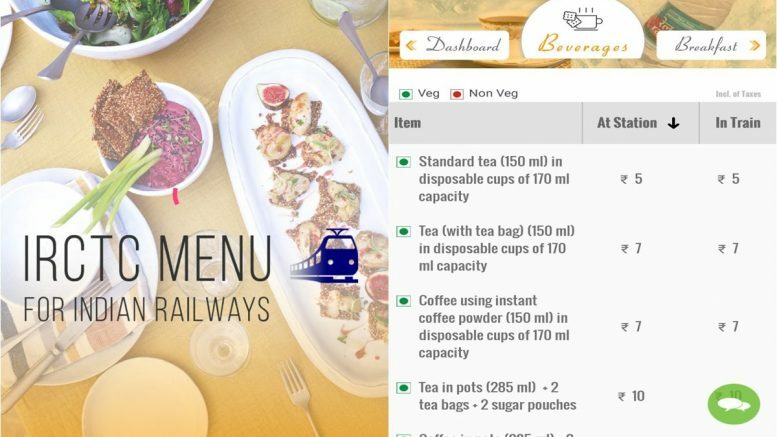 The Menu on Rail app is accessible from the smart phones as well laptops and other smart gadgets. This app will surely control the inflation on the overcharging of prices during the train journeys and passengers now can take a sigh of relief. Good and reasonable food is available to your readily on the trains now. Be the first to comment on "Menu on Rail – IRCTC App to Check Food Menu Price"